Acoustic enclosure and rectangular attenuator installation at a glass manufacturing site. 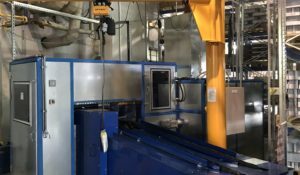 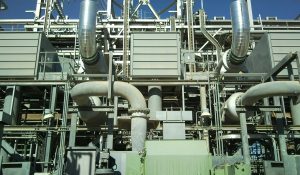 A glass toughening plant had experienced high levels of noise from a new plant installation and required acoustic treatment, specifically to reduce blower noise. 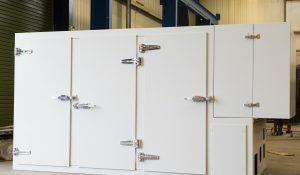 Noise produced by the blower room had the potential to cause disruption to operatives. 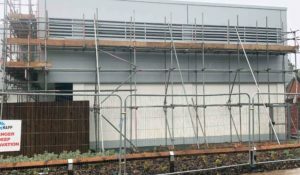 There was also a requirement to limit the environmental noise impact on nearby residential properties. 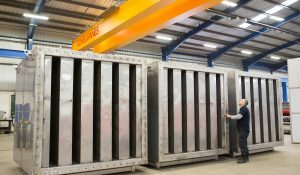 In order to effectively mitigate noise, Wakefield Acoustics designed and manufactured a large acoustic enclosure to house two blowers. 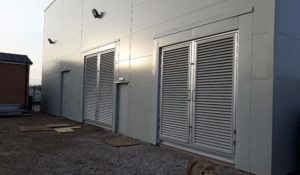 Large air inlet attenuator units, with weather louvres to draw air through from outside the building, were also installed within the glass toughening plant. 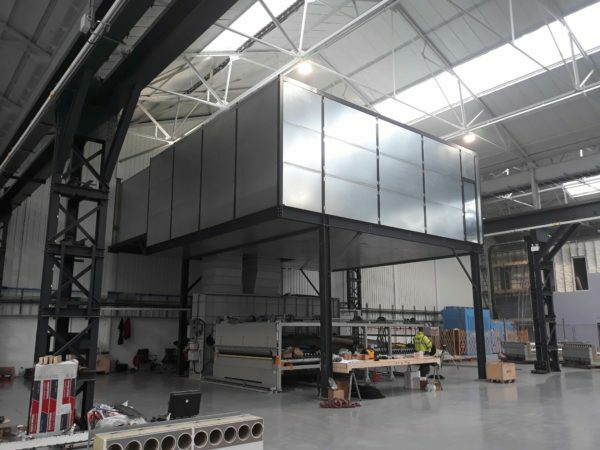 Wakefield Acoustics factory assembled the acoustic enclosure to be mounted on an elevated platform inside the facility. 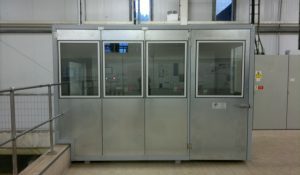 The bespoke acoustic enclosure was designed to deliver a nominal 20dB reduction, reducing blower noise down to 80dBA. 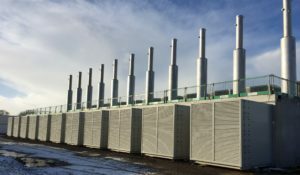 In order to enable the plant to operate through the night time hours, the rectangular attenuator was designed to provide a reduction of circa 30dBA.